Virginmedia.com - receives in excess of 3 million hits per day making it an extremely traffic heavy site giving me the perfect platform for desiging a site that will be seen and critiqued by many. 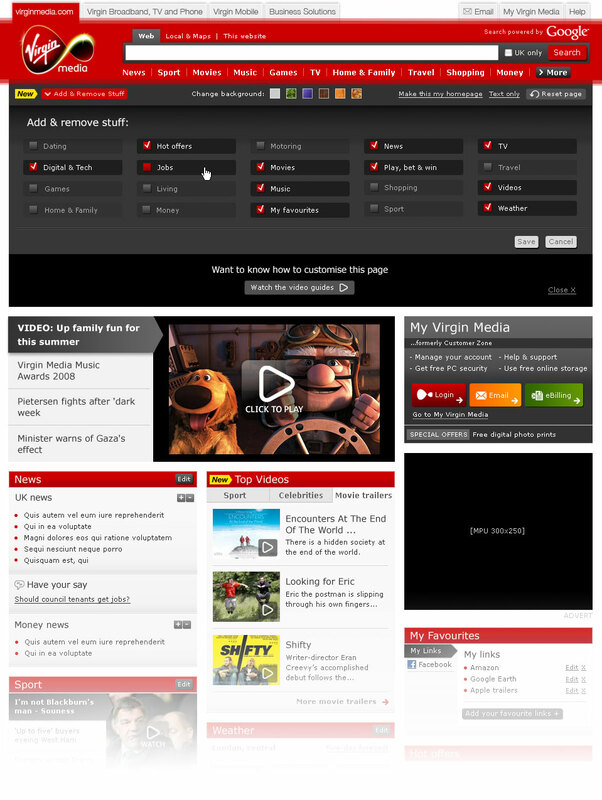 This redesign project alllowed me to gain insight in to who Virgin Media’s customers are and what they ultimately want from a portal site. After 3 long hard months of designing and developing in an Agile environment we managed to deliver an interactive and more creative experience. 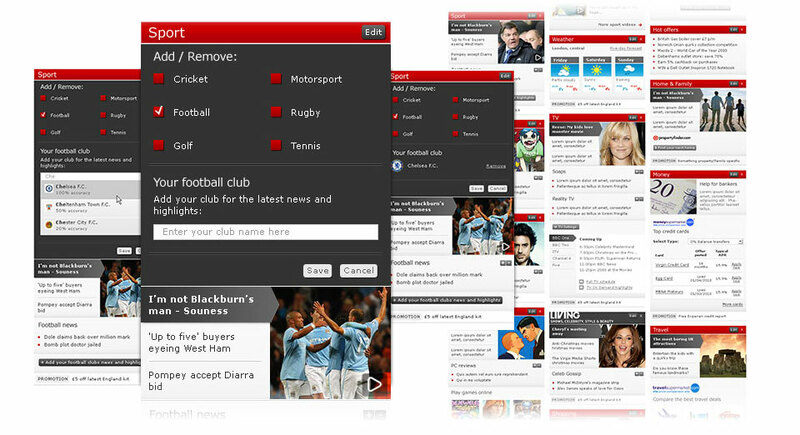 By creating a number of component and page layout templates the look and feel of all content was dramatically altered. After a successfull homepage update refreshing the rest of the site was the next task. 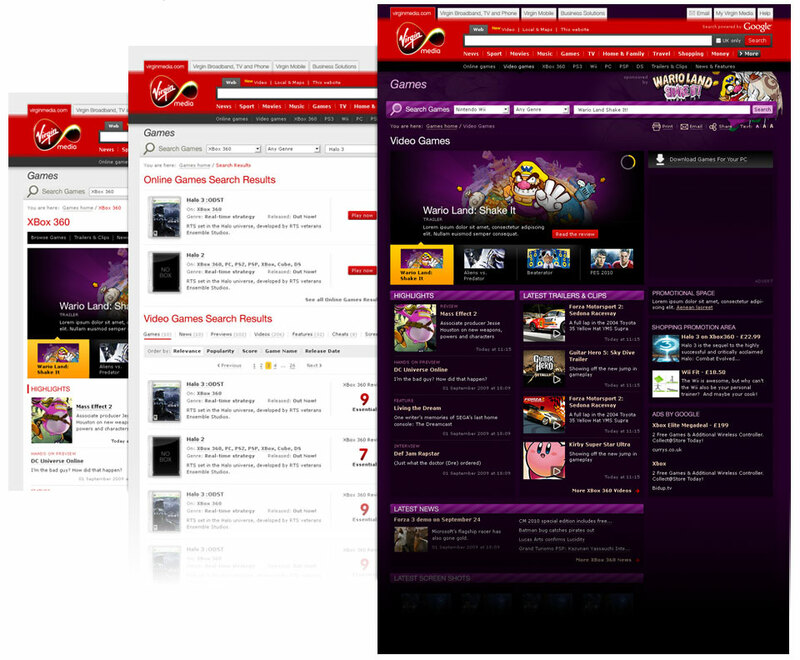 By creating a number of component and page layout templates the look and feel of all content was dramatically altered.